At Cornerstone Real Estate Group we use our experience and vast knowledge of Pikeville, Ky and the surrounding areas to help our clients successfully navigate the process of buying or selling a home in Eastern Kentucky. Our mission is to provide the best possible service for your real estate needs. Cornerstone Real Estate Group is proud to offer top notch home buying, selling and relocation services for all of our clients in eastern Kentucky. Whether you are moving across the street, or across the country- we are here to help. We would be proud to have you as our customer! 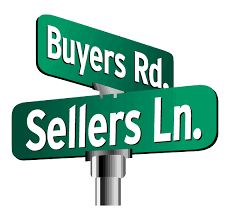 Find Cornerstone Real Estate Group in Pikeville, KY at the corner of Buyers Road and Sellers Lane.